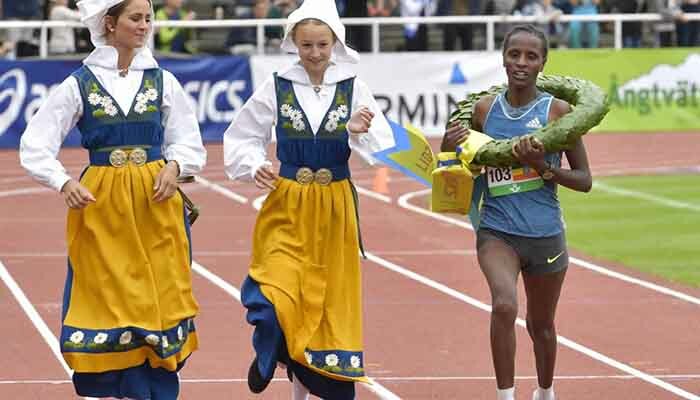 Ethiopian Abraha Milaw Assefa, 29, was the fastest man on the men’s side and won the 39th Stockholm Marathon, on June 3, 2017, at 2.11.36, and Konjit Tilahun was the fastest woman at 2.35.45. Both on women and men sides the Ethiopians Balaynesh Shifera and Samuel Getachew finished second. 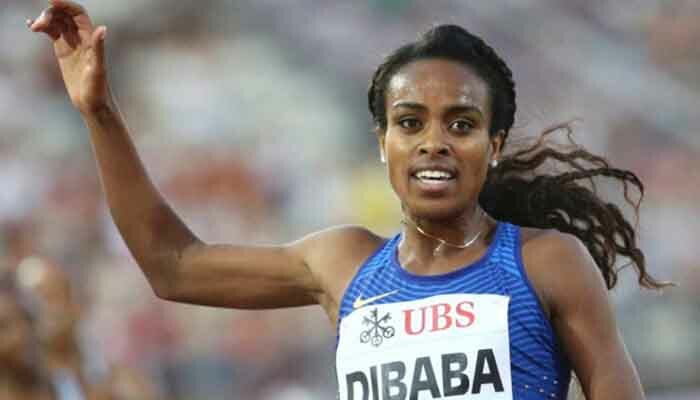 (EZ) Ethiopia's Genzebe Dibaba, 25, has run the fastest ever women's 2000 metres, at the indoor Miting Internacional de Catalunya in the Spanish city of Sabadell, on Tuesday 7th of Feb. The biggest news at the world’s richest prize money marathon happened at the start. Kenenisa Bekele, the world record holder at 5,000m and 10,000m and the second fastest man in a record eligible marathon, fell at the start. Bekele’s fall was not picked up on the race broadcast, but the runners were not given an advance countdown and were crammed close together with the entire field right up on the professional runners. 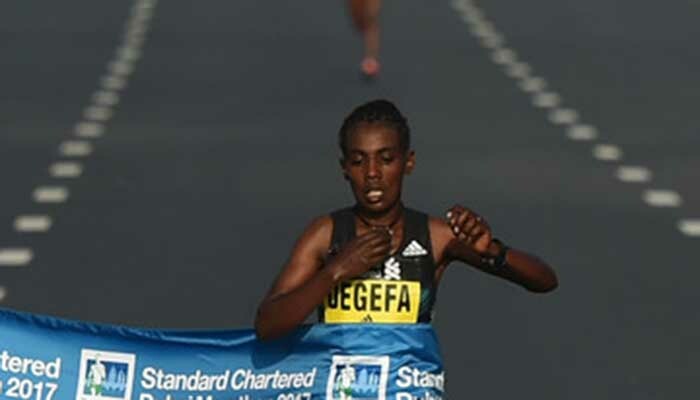 Worknesh Degefa’s marathon debut was a rousing success as she ran 2:22:36 to win the 2017 Standard Chartered Dubai Marathon and $200,000, the largest first-place prize in the sport. 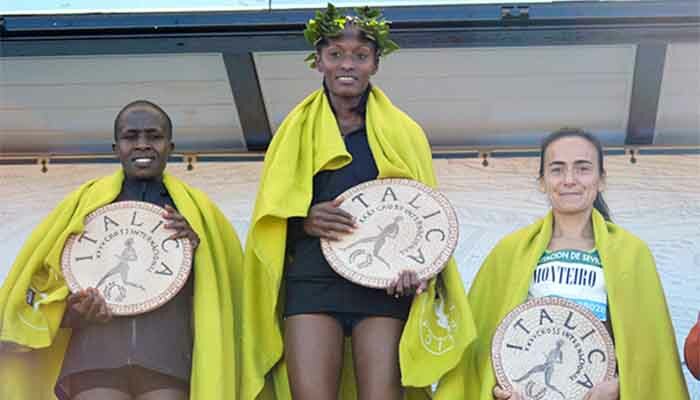 Ethiopia’s Senbere Teferi and Bahrain’s Aweke Ayalew, of Ethiopian origin, captured outstanding victories at the 35th Cross Internacional de Itálica in Santiponce, near the Spanish city of Seville, when winning Sunday (Jan. 15) the women’s (8.1km) and men's (10.8km) with a time of 25:52 and 31:34, respectively. Tafese Soboka of Ethiopia finishes third in men’s. 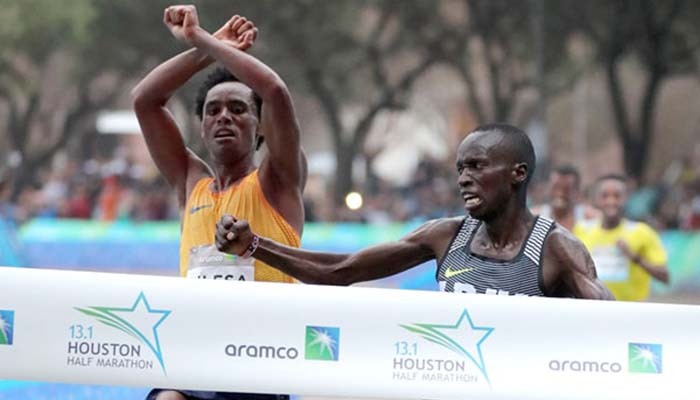 In a spectacular sprint finish, U.S. Army runner Leonard Korir edged out Olympic silver medalist Feyisa Lilesa for a victory at the Houston Half Marathon. It’s Korir’s second major win in two weeks, as he beat Mo Farah and a slew of top Americans in a cross country 8K in Edinburgh last Saturday. 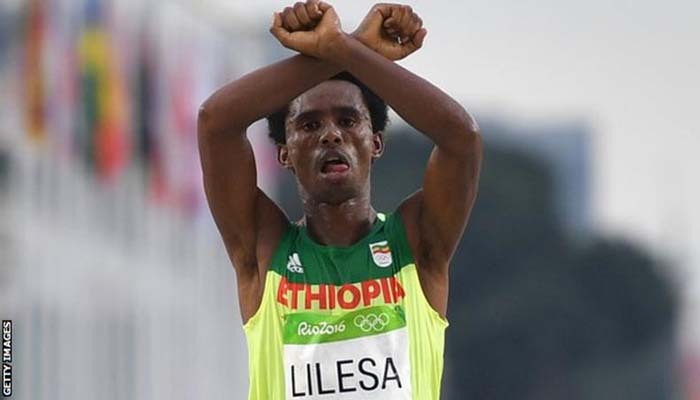 Ethiopian Olympic marathon runner Feyisa Lilesa still hopes to compete for his country - despite being exiled since last summer's Games. 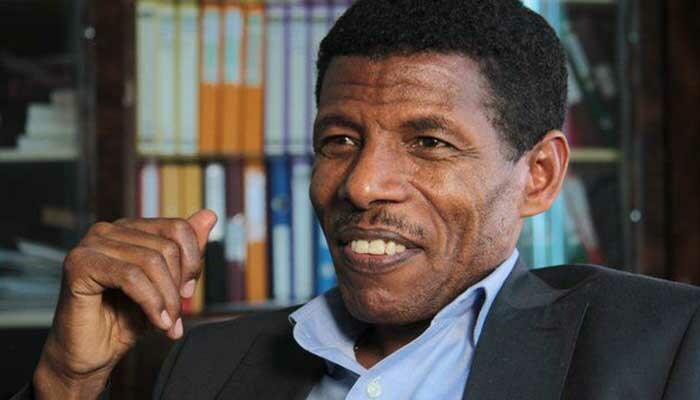 ADDIS ABABA [By Reuters]: Ethiopia, one of five countries the IAAF says is in “critical care” over its drug-testing systems, will impose lifetime bans on drug cheats, the new president of the Ethiopian Athletics Federation (EAF) said on Wednesday.